Recycling electronics and appliances is the responsible way to keep our country clean and preserve the natural environment by reducing unnecessary waste. Recycling electronics means that they can be correctly treated, so hazardous substances do not cause serious problems to the ground or water, while the materials can be recycled rather than sent to a landfill. Metals can be used for scrap metal, while the body and casing of appliances and electronics can be processed by removing any toxins and re-used. It is not just larger appliances like washing machines, tumble dryers and ovens that can be recycled, but much smaller electronics and items such as DVD players, kettles, irons or laptops. Often these smaller items are forgotten about, as they are easier to just throw in the bin rather than recycle. But these smaller electronics and appliances are just as important to help reduce waste. The Waste Electrical and Electronic Equipment Directive (WEEE Directive) which is now legislation and covers the whole of the European Union made producers and importers of electronic goods responsible for recycling their products from 1st of July 2007. Retailers must either offer a free in-store ‘take-back’ service on a like-for-like basis; for example, take a customer’s old television when they buy a new one, or help fund improvements to local councils’ recycling facilities. Households are not under the same obligations though and this is why this guide aims to provide helpful advice on ways to dispose of electronics and appliances efficiently and safely, reducing waste and helping to keep our planet earth free from harmful toxins. First of all, is the electronic item or appliance in good working order? Donating to organisations helps those less fortunate and is environmentally friendly, but do remember to call ahead before dropping off any items to charity shops to ensure they are accepted and there is room. Another option is to use a service such as Freecycle, Freegle or Don’t Dump That which allows you to give away unwanted items for free to your local community. These services are entirely free and you can quickly and easily post your unwanted appliances or electronics to find them a new home. If the item in question is no longer in working order, it can also be worth posting to one of the free services above and offering the item for spare parts. Another option to consider is repairing, rather than replacing. While the prices for a new appliance might be similar to repairing your old one, repairing your appliance or electronics is certainly more environmentally friendly. Large kitchen appliances like refrigerators, freezers, cookers/ovens, dryers, washing machines and dishwashers can all be easily recycled. Smaller items are often overlooked due to their ease of being disposed in the bin alongside the usual household waste, however small kitchen or home appliances such as microwaves, toasters, blenders, hairdryers, irons and kettles can all be easily recycled as well. 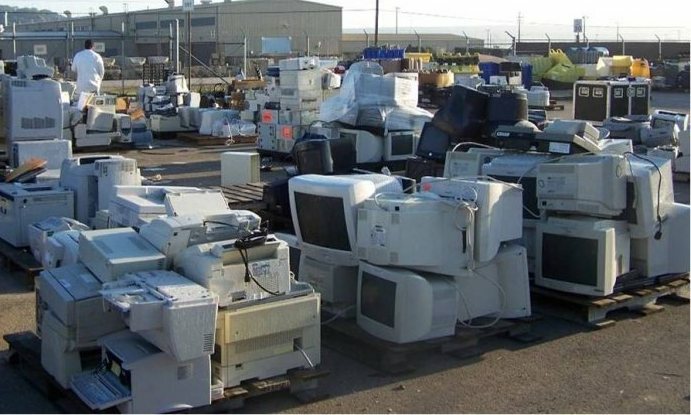 Remember, retailers under the EU Waste Electrical and Electronic Equipment Directive (Weee) have to help customers recycle a wide range of electrical and white goods either by paying towards white goods recycling facilities at a council site or by offering a free in store take back service. Most opt for the first option, but do check with your store if you are buying a new item. One of the easiest ways to recycle your old larger appliances when purchasing a new one is to ask the retailer if they offer a collection and recycling service upon delivery of your new appliance. Remember that this may incur a small additional charge as they do not have to offer this for free and you will be required to disconnect your appliance. Some retailers also allow you to drop off your old electronics or appliances for recycling when you purchase a like for like product. Ask your retailer if they take part in the scheme as this is a great way to recycle your TV, toaster or microwave. When not buying a new item, then check with your local recycling centre to find out what types of appliances and electrical equipment they accept by using the Recycle Now website. Simply dropping off your unwanted items is often the quickest and easiest method for recycling smaller electronics and appliances. Alternatively, if the item(s) cannot be dropped off at the local recycling centre it is possible to ask your local council to pick-up unwanted electrical products and appliances. The only requirement is that you disconnect your appliance and leave it outside your property on that arranged date of pick-up. Remember again, this will incur a fee from your council. CDs, DVDs, Games & Tech – You can sell your items though a service such as Music Magpie. Mobile Phones – You sell your old mobile through companies such as Mazuma Mobile, Envirofone, Fonebank, 02 Recycle or more. Printers, fax machines, ink cartridges – Companies like Canon, Epson, Apple, Nokia, Lexmark, and Sony, all have corporate electronic recycling programs when you make a purchase. We have the means to be responsible and recycle now, so please take this opportunity with both hands and do your bit to help reduce waste and preserve our environment. It’s up to each and every one of us to contribute and protect the planet. It’s so simple to do that everyone should be able to play their part. For international visitors, please refer to the below. This is an area that we are actively expanding upon as per request. Earth911.com – Save time, money and resources with innovative and inspiring ideas. 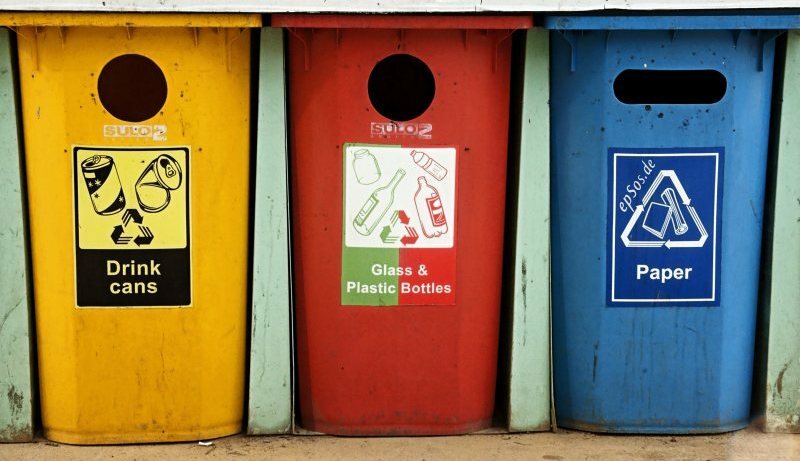 Residents of Virgina may find the below resources and local recycling solutions helpful. ReStore – If you are a Virginia based business, consider donating old appliances to ReStore, who sell used items to the public at substantially reduced rates. (Please note, appliances must be less than 10 years old). 123Junk – Eco friendly appliance removal and recycling services, covering Northern Virginia. GE RAD – The GE Responsible Appliance Disposal program is an eco-friendly appliance recycling solution, reducing the amount of greenhouse gases released into the atmosphere.